The rise of game theory has made bargaining one of the core issues in economic theory. 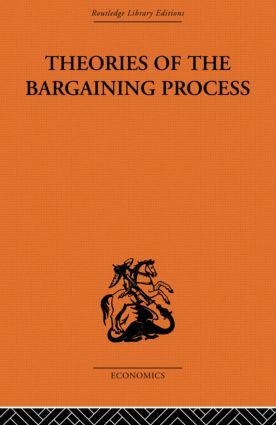 Written at a theoretical and conceptual level, the book develops a framework for the analysis of bargaining processes. The framework focuses on the dynamic of the bargaining process, which is in contrast to much previous theoretical work on the subject, and most notably to the approaches stemming from game theory.